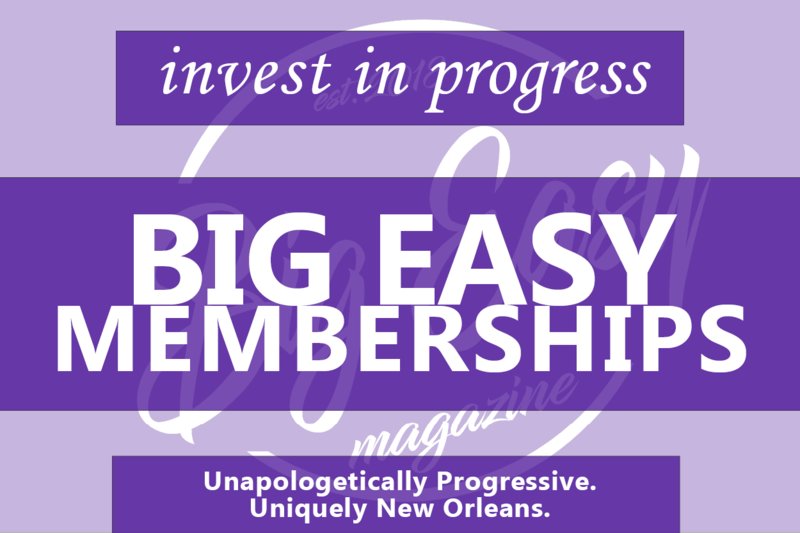 For 300 years, New Orleans has been a city for the arts. It started with music and dance but has now evolved into a place that not only accepts the arts as a part of our culture, but cultivates and builds it, and even hides it in plain sight. One contemporary example of this is the online community known unofficially as #nolatreasurehunt. This community is all about the arts, more specifically, about sharing their art. Think: Easter Egg Hunts for Handmade Art. 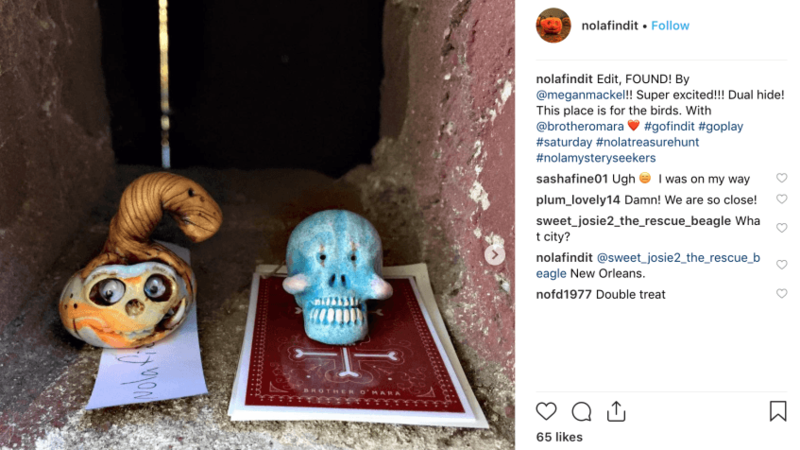 #nolatreasurehunt is exactly what it sounds like, a group of people who hide their miniature art around New Orleans and post hints online for Instagram users to find. Most posters seem to be a bit sporadic in their updates; typically they only hide if they have a piece ready and they only have a piece ready if they had the time to make it, but you can expect at least one new piece a week to be on the streets. Everyone who posts in the community is an individual sharing their passion with as many people as they can, and the community, made up of both artists and collectors, is growing every day. Some choose to stay anonymous and others have turned their once personal accounts into something of an art gallery. The most veteran hiders and seekers have only been active for two years. Flambeauxs was one of the first members of this community and she only started in September of 2016; more don’t start appearing until May of 2018, including brotheromara. This community finds its origins in Letterboxing, a hobby that involves building and designing boxes that you hide in secret locations and leave hints around. Another, more modern form of this hobby that most of the artists were familiar with is Geocaching. Geocaching is a bit less focused on the art aspect and more on the venturing outside of your house and exploring the city around you. Many posts on the website/app geocaching.com have the exact location ready to be put into your GPS. This puts off some people, especially these artists. However, one artist under the name of cursedfindings said they had heard of Geocaching before getting involved with the #nolatreasurehunt community, but never got into it before they started to hide their own art. Another very popular artist is Monique Champagne, who goes by the name Flambeauxs. Champagne is one of the earliest artists and first in New Orleans to hide her pieces and leave clues via Instagram. She hand makes and pours 7-day candles. She, of course, hides the candles, but she also does custom candles and sells them on her website. Although there are the veterans of the community, there are also many new talented people joining the community. One in particular who goes by cursedfindings designs and creates clay voodoo dolls. After starting in late October, she eventually hid their first voodoo doll on Halloween morning. CursedFindings said about someone finding their art, “Seeing her face when she finally found it got me hooked. She was so excited to find the doll and it was thrilling to watch in secret. It was like I was a spy doing a dead drop. I loved it. It really got me pumped to hide more.” Cursedfindings said they were connected to the community by a friend who goes by saygoodbyerose who was already an avid hider. They were eventually convinced to join and found out who their friend was after they started. This story was written by Jacklyn Leo, a student, and member of the New Orleans Junior Journalism Program (JRNOLA), and it originally appeared on JRNOLA’s site.